Pharmacist Nicholas Tamborrino, owner of Bluepoint Wellness of Connecticut. WESTPORT — Bluepoint Wellness may have been the only medical marijuana dispensary to receive town approval, but it needs to jump through another hurdle in order to open shop: state licensure. “That’s what it’s all about now. It’s all about the state license. Ultimately, the state’s the decider of anyone getting a dispensary license,” Westport resident and Bluepoint Wellness of Westport co-founder David Lipton said. Lipton has experience in the medical-marijuana field. He’s one of the founders of the production facility Advanced Grow Labs in West Haven, which gained a state medical marijuana producer license in 2014. After the Planning and Zoning Commission approved Bluepoint’s application for a dispensary in June — and rejected the other four applications for dispensaries in town — Bluepoint finalized its application for a license with the state. The state reopened applications for state licensure in April, spurring a slew of proposals for dispensaries across the state, including Bluepoint’s application for one at 1460 Post Road E.
“There’s significantly more applications this time around,” said Leslie O’Brien, a spokesperson with the state Department of Consumer Protection, which oversees the Connecticut medical marijuana program. Since the program began in 2012, the state has approved nine medical marijuana dispensaries. When the state opened a call for applications in 2013, it received 27 applications, and when the second round of applications opened in 2015, it received 19 submissions. This year, the state received 73 applications, O’Brien said, noting the department’s goal is to approve anywhere between three and 10 dispensaries this round. O’Brien said she couldn’t give a timeline for when the state will announce its decisions, but Bluepoint co-founder Nicholas Tamborrino, who received approval for a Bluepoint dispensary in Branford in 2013, said he expects to hear back between late July and early August. “I think we put in a very good application. I think having the only approved application in Westport strengthens our application, but it comes down to what the state is looking for this go around,” Tamborrino said. Tamborrino said there is only one dispensary in Fairfield County, in Bethel. “I think they’re looking to lower overall medication prices for patients and for research and data,” Tamborrino said, noting he and Lipton have partnered with an unnamed Yale University researcher to work on medical marijuana research at the proposed Westport facility. 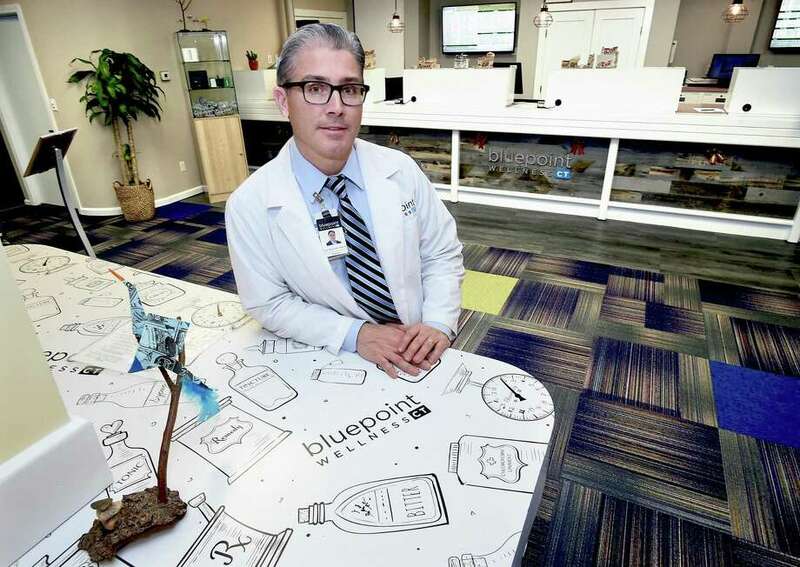 “I have no idea how it will go,” Lipton said, but said the pair’s experience — his as one of the first medical marijuana producers in the state and Tamborrino’s as one of the first dispensaries’ founders — may give Bluepoint’s Westport application a competitive advantage.